Soon you’ll begin seeing the telltale signs of another sea turtle season. The unmistakable tracks in the sand, turtle patrollers fanning out across our beaches and the familiar yellow stakes are just days away. May 1 marked the beginning of nesting activity on Boca Grande beaches, and the season lasts through the end of October, when all the nests will have hatched. 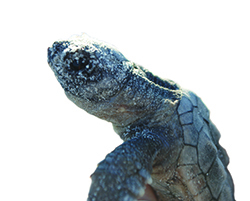 The Boca Grande Sea Turtle Association is ramping up for the season. They welcome many new members and turtle patrollers and are grateful, as always, for the support of the community. This year, for the first time, the Boca Grande Sea Turtle Association will be using biodegradable tape to mark the nests on the beach, donated by board members Melanie LaHurd and Betty Beall. As always, the support of our community is critical to the success of the season. During the nesting season, turtles may be disoriented by artificial lights. A disorientation event occurs when artificial light leads turtles away from the ocean. The lights can be from beachfront homes, including pool lights, people on or near the beach carrying flashlights or lanterns, bonfires, or landscape lighting. Please be sure that, if you have lights visible from the beach, you either shield them or turn them off. Remove anything that can obstruct a sea turtle or a hatchling from beaches each night: chairs, toys, boats, cabanas and other obstructions. Refill holes in the sand that can trap hatchlings and leave them open to predator attacks. If you dig a hole, refill it when you’re done. Lights on the beach distract and disorient turtles. Do not use flashlights, tiki torches, fishing lanterns, flash photography, fireworks or light beach fires. Turn off, shield, or otherwise modify exterior lights that are visible from the beach. Keep the beach clean. Trash can entrap turtles, especially hatchlings, or obstruct their path. Food scraps attract predators. Keep pets off the beach. Pets running loose may harass turtles, dig up nests or harm hatchlings. If you encounter a nesting turtle on the beach, remain quiet, keep a distance, and never shine a light. Allow her to return to the ocean undisturbed. Lights, obstructions, and pets are serious threats. Please do what you can to protect our turtles and our beaches! If you see suspicious activity related to the turtle nesting and hatching season, please report it to the FWC’s Wildlife Alert Reward Program: 888-404-FWCC (3922). Cell phone users can reach FWC at *FWC or #FWC, depending on your service provider. Older PostFormer Boca Grande chef opens gourmet shop in Asheville, N.C.